To Kernow and The West! 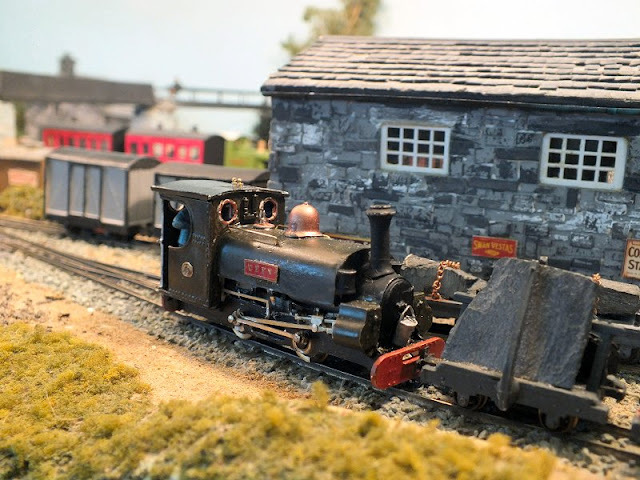 As 009 Society Sales Officer Brian Guilmant was unable to travel to the Cornish NG Expo at Threemilestone near Truro on 24 March I was asked if I could take the sales stock on his behalf. Well what's a 17 hour 400 mile round trip, and reveille at 0400 when there is a promise of not only a bacon butty for breakfast but a genuine Cornish Pasty for lunch? A splendid little group do was held, very well hosted by Tom and Lyn Snook, and of course the Cornish NG Railway Modellers. I would especially mention Bob Ayers who came all the way from Gloucestershire to spend the whole day on the sales table with me, plus Marion Blair who also stepped into the sales team. Thanks to you both for your sterling work and enabling me to "swan off with my camera" for an hour or so to grab some snaps of the delights on offer! Although the hall seemed quiet at times, I believe the day was very successful and Tom reported that there were 165 through the door - very good for a group event of this type. 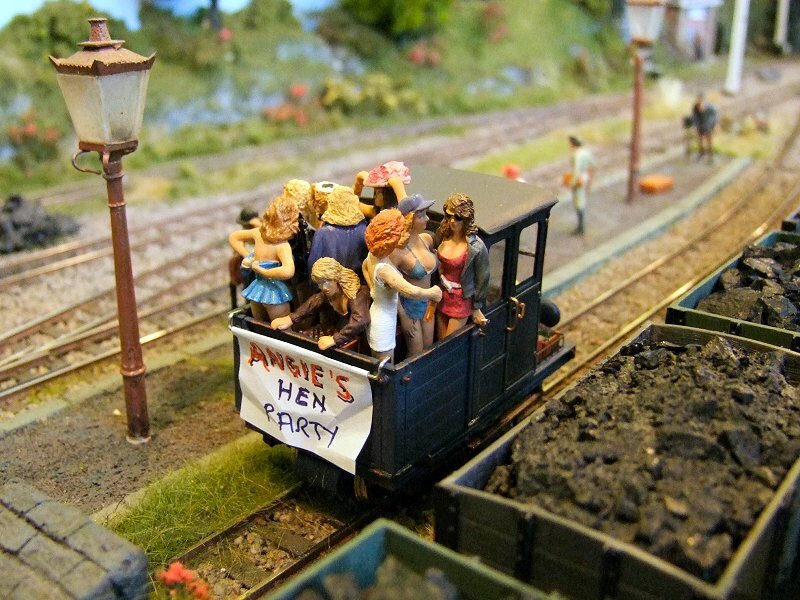 I certainly enjoyed the experience and of course the 5 star catering, which is of course illustrated here to show those that thought the far south west to be beyond their travelling range what they missed! To The North! Despite living in Yorkshire for many years of my earlier life, I never got to NG North, so this year I thought that it was high time that I made another trip beyond the Watford Gap from my home in Dorset. I duly set off into the pre-dawn gloom very early on Saturday 10 March, and arrived in what is regarded by southern softies as "the frozen north" in Leeds some 5 hours later to find sunshine, lots of cheerful people and lots of trains, even if some of the people were difficult to understand! A very good day out, good to renew acquaintances with friends that I don't often get the opportunity to meet face to face as it were and well worth the expense and long hours to get there and back. Must do it again next year! 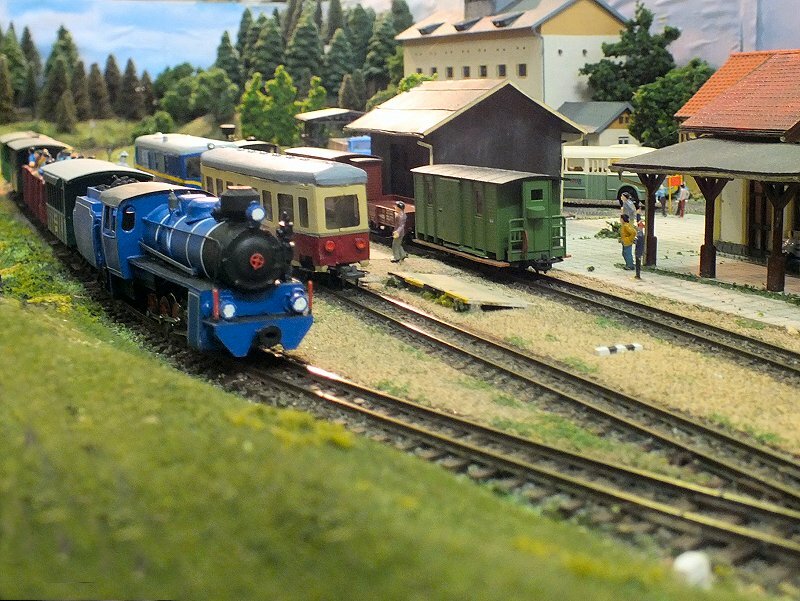 There were around 20 layouts in the show, which is supported by all the major societies, so obviously there were also a wide range of scales represented in the layouts, plus a 7¼” gauge passenger carrying line set up by the 7¼ Society along one of the corridors! 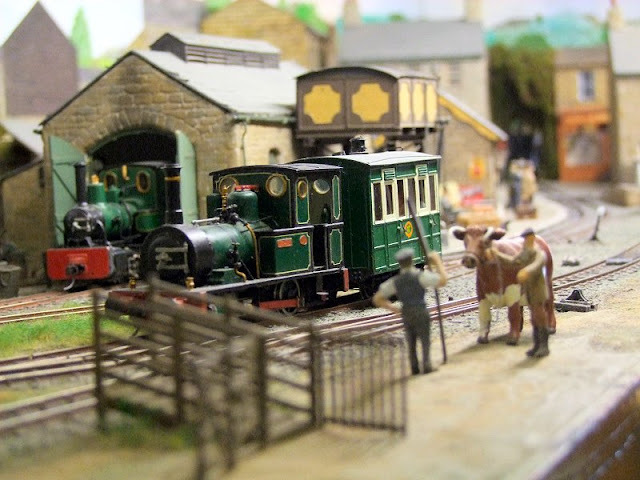 On Sunday 4th March I had a “2 hour window” in the morning so decided to visit the Romsey Model Railway Exhibition, organised by the local railway modellers society. This is a fairly small show, normally about a dozen layouts, of a variety of scales and types and always good quality. 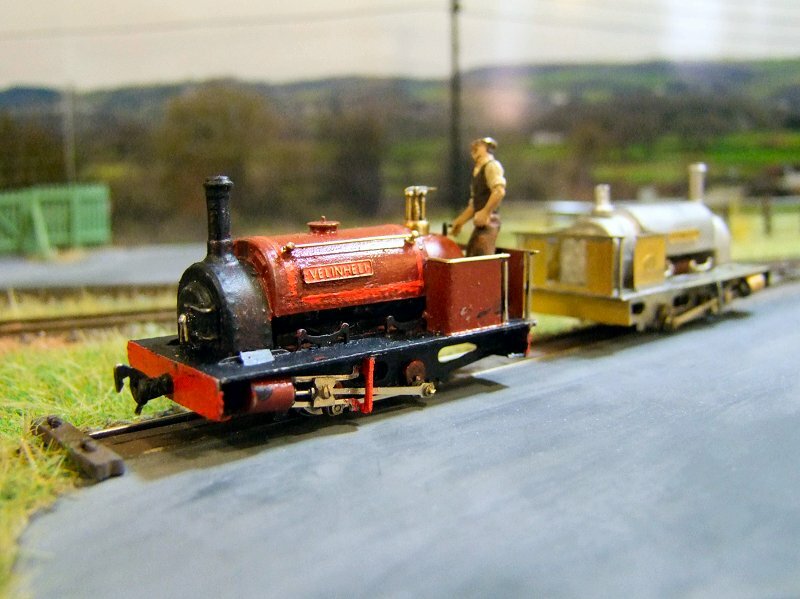 This year there were 3 narrow gauge layouts: Feltwell Road in 009 from Stuart Reeve and sons, John Thorne with his 009 Purbeck and Andy Cundick with his 00n3 work in progress: Strabane. I have photographed Purbeck and Feltwell Road several times before so as time was tight, I concentrated on Strabane, as it is a while since I last saw the layout and the work has progressed a great deal since then. So this short report is entirely for County Donegal Railways fans! More of Andy’s superb Irish models are in the Donegal and Bradford-on-Avon reports from 2009. One of Andy Cundick’s information notices at the front of the layout states that Strabane is “the fourth in my trilogy of County Donegal layouts” – and there is a bit of Irish for you! 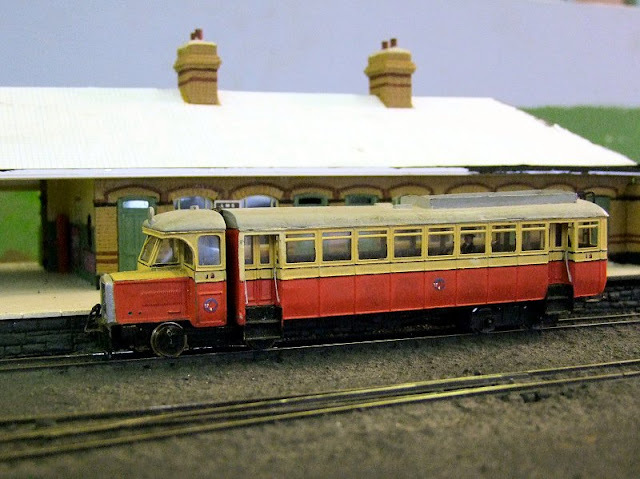 Previous 00n3 layouts in the “series” were: Donegal Town, Castlefin and Letterkenny. 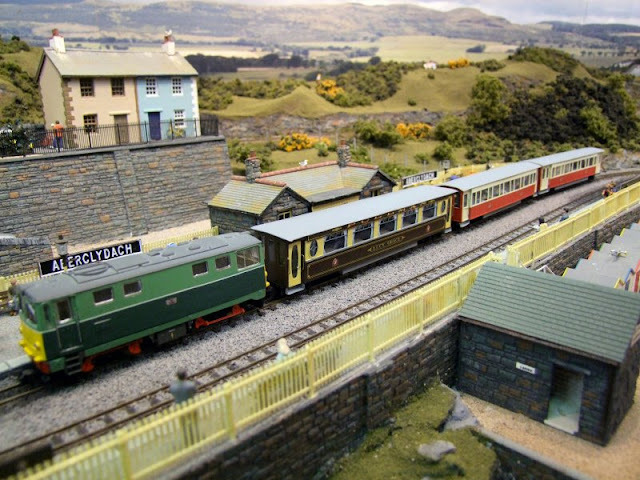 Andy has also exhibited another Irish narrow gauge layout showing the Londonderry & Lough Swilly border station Bridge End, just outside Londonderry on the Swilly line to Buncrana and Burtonport. 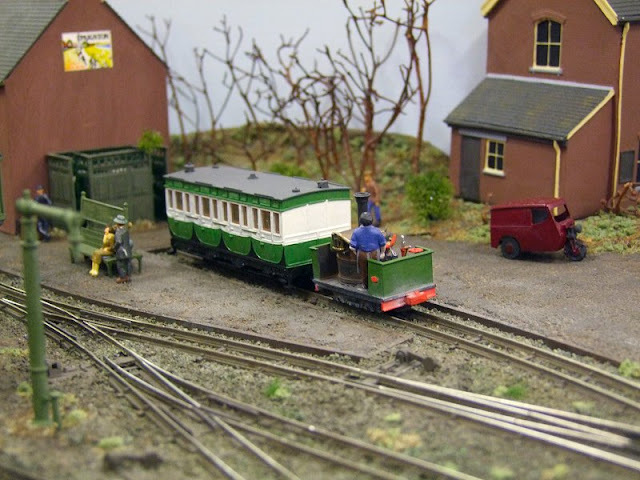 Photos of Strabane, showing just how far this ambitious layout has progressed since its first outing can be seen in my reports from: Narrow Gauge South West 2009 and Narrow Gauge South 2010. And there’s more to come! So far Andy has modelled just the northern end of the narrow gauge part of Strabane station, as far as the footbridge, for those that are familiar with the location. 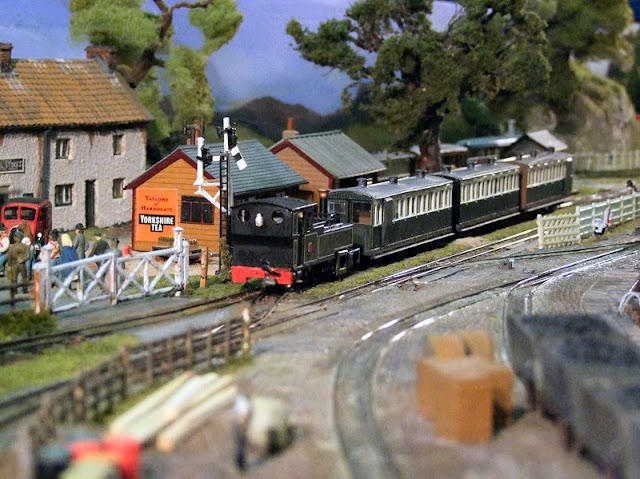 He intends to add a further 8ft beyond the bridge, and was also telling me of tentative plans to extend the width of the station boards to show at least part of the Great Northern Railway (Ireland) broad gauge station. Ambitious indeed and I very much look forward to seeing further progress of this project. 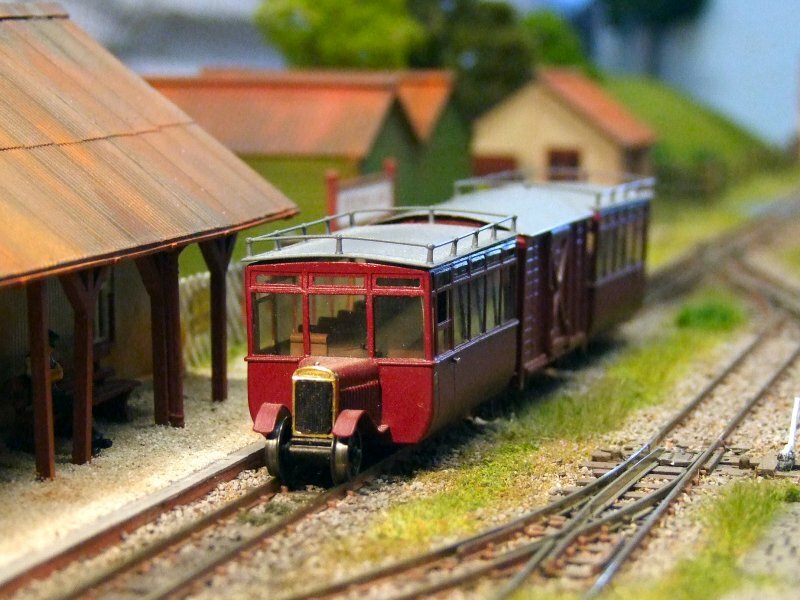 This year's "Small & Delightful" NG South West on 18th February was most definitely NOT small as to celebrate the 20th NGSW, it had been decided to make it a really BIG one and with 51 layouts counted, not including society demo layouts etc, it most certainly was that! Despite some very late trade stand cancellations and only discovering that several of the planned rooms were no longer available the night before the show, the organising team still managed to put on what was almost certainly the biggest NG specialist one day show we've ever seen, and in many people's opinion's including my own it was one of the best as well. With over 50 layouts, there can only be a brief glimpse of each one, but I have tried hard to include at least one photo of every layout and something of the flavour of NGSW as well!